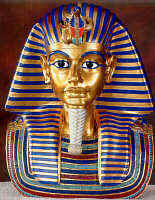 Here you can find some Rituals the Ancient Egyptian Priests used when the were making a mummy. Please look at them all. Here you can find two spells that the priests use to protect the body to the Next World. Another one I have for you is For coming out into the day. For going out into the day and living after death. An appeal to speak for him at the tribal of the gods.